This rather odd coloured anemone form is the first tissue cultured cultivar to be made widely available. 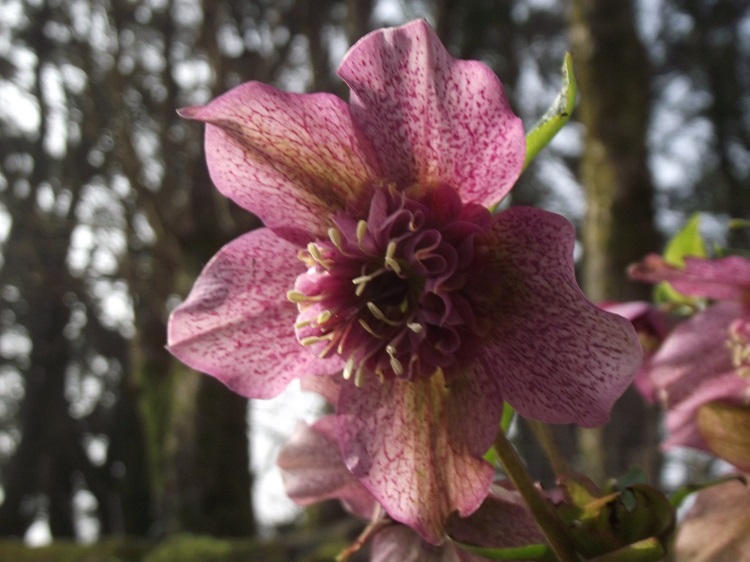 Hybrids involving H.niger have been making a big impact commercially, and it is having an effect on the hellebores seen in gardens. Helleborus x hybridus had previously been difficult to establish in tissue culture but techniques have advanced. 'Tutu' comes from the Netherlands and is becoming very widespread because of the ease with which plants can be grown on with reliable flower colours and forms. This is not the most wonderful flower I can imagine, but it is only a question of time before some really good selections become available. 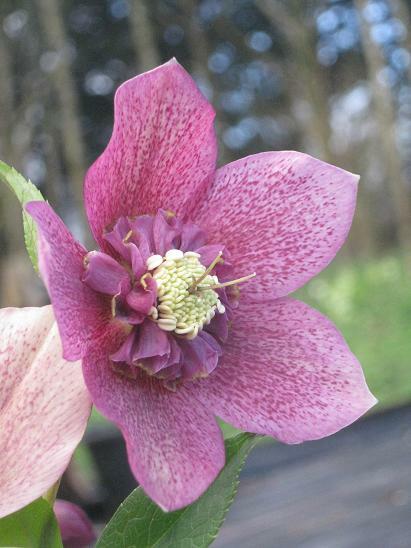 I am not quite sure what will happen to Helleborus x hybridus breeding once seedling strains are no longer required. I have a feeling it won't be a good thing. The future is coming, and I can't blame 'Tutu' for it. A vigorous tall growing plant, it makes an impressive mound in the hellebore border. The strange light of a partial eclipse.